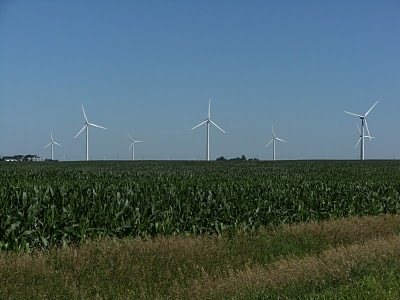 “By contracting to purchase so much energy for so long, we’re giving the developer of the wind farm financial certainty to build additional clean energy projects,” Urs Hoelzle, Google’s senior vice president for operations, wrote on a blog post Tuesday. But Dan Reicher, Google.org director of climate change and energy programs, told me earlier this year that finding clean ways of powering Google’s massive data centers led in part to the establishment of Google Energy. “This interest in procuring green electrons is part of what’s driven Google Energy,” he said.